Tania is an emerging chess player in India. Tania Sachdev is the ultimate combination of brains with beauty. She won her first international title when she was only eight and continued to carve a niche for herself. Her innocent looks and beautiful smile is enough to categorize her in the list of beautiful sports women in India. Being an accomplished squash player, she was the first Indian to break into the top 10 WSA rankings. She has won 3 WISPA tour titles in 2001, which led her to achieve a career best ranking of 13. She also received Arjuna Award in 2012. 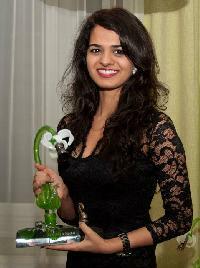 She became a prominent face of Indian Squash at the young age of 22. She has got the world at her feet with her intriguing game on the court and her sensational looks. Her glamorous look and beautiful talking eyes have positioned her in the list of beautiful Indian sports women. She also has modeling contract with Globus Ltd. and been face of several glamour magazines. She is the Captain of Indian Women s Basketball team. She has been the member of national women team since 2004. In 2010, Akanksha singh was awarded the Most Valuable Player in India s first Professional Basketball league, MBPL 2010. Daughter of former wrestler Chandgi Ram, Sonika Kaliraman is the only female Indian wrestler who has had the honor of representing India in Asian Games and becoming a member of Indian squad in Doha Asian Games.